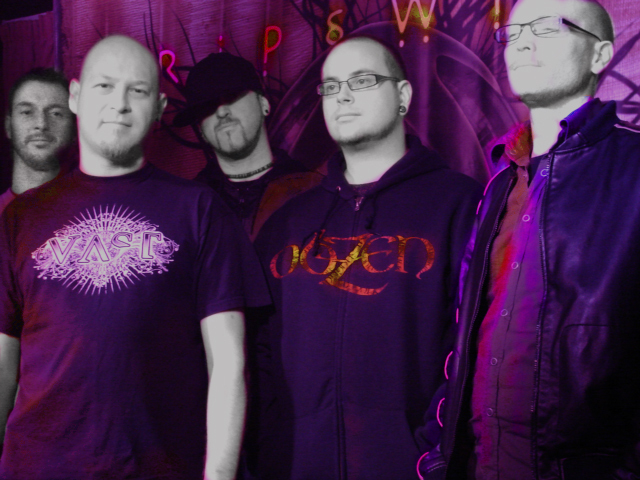 Lincoln-based crossover metal act Tripswitch have been making a pretty big wave on the UK scene of late. With a storming set at Download and their new album ‘Until’ getting them nationwide attention, the band are out to prove that they are one of the best bands to come out of the North’s thriving alternative scene. We talk to drummer Pete Botterill about plans for the future. S] To what extent, if at all does Lincolnshire influence your sound? P] The sense of isolation we get from living in the middle of nowhere and the fact that there is no real music scene kind of makes us want to work harder and get our asses out of the county as much as possible. We try putting on our own local band gigs as much as possible and we have a regularly monthly night where we try and bring up and coming UK bands, recently we have had the Ghost Of A Thousand, Fei Comodo and Ted Maul. S] You played Download a few months back, can you tell us about that experience? P] Download was just incredible; everything went as well, if not better than we’d hoped. We just weren’t sure what to expect at all, and when we arrived the tent seemed empty but once we took to the stage it was rammed and to see that many people turn up for us was just overwhelming. Plus we got to hang out and chill for the rest of the day an meet some cool people. S] Can you explain to us the inspiration behind the artwork for your last album ‘Until’ and will there be a continued theme within new material? P] We have to hand the credit over to Mark at Asylum77 who has done a fantastic job with the artwork. We basically sat down with him and discussed a few ideas; we put across our theme and our interest in the concept of time which runs throughout the EP. As far as new stuff goes, we have only just begun writing for the new material but we shall see. S] What are your biggest plans for the rest of the year that you can reveal to us? S] How will your next material represent a sonic progression from ‘Until’? P] We really want to try and push ourselves for the next EP, we want to expand the experimental side and keep the drum n bass elements in place. Listening back we seemed to have lost a little of the sample side of things on ‘Until‘, so expect plenty of weird noises on the next one. S] Where does your passion for the Industrial and drum and bass-side of your sound come from? P] Basically we were huge fans of bands like Pitchshifter, Spineshank, Nine Inch Nails and re-creating the electronic side of things live along with the heavy stuff. Plus we’re also into drum and bass guys like Ed Rush and Optical along with Ram and early Pendulum. S] Your track ‘1 Hit Infliction’ sticks with us the most – what experiences inspired the track? P] ‘1 Hit Infliction’ through one form or another is probably our oldest track and can even be found (as an entirely different song) on our first EP which is titled, ‘Deleterious’ which soon to be available through ITunes. It has quite a few different styles within it and obviously incorporates our drum n bass passion but the original themes behind this song are of never knowing when to stop. S] How do you react to constantly being categorised as “modern metal” – do you consider yourselves at home within this wide bracket? P] We have been placed in so many categories over the years this seems to fit about as well as anything else, we need a wide bracket I suppose as our music does wander through a lot of different styles, and we certainly don’t want to be lumped in the metalcore lot.